So now we know who will be standing in each of the 17 Southend wards in the May 2nd Local Elections (see here). It happens I know several of the candidates and know about many more. But in the interest of peace making and impartiality I will only reveal that knowledge if I feel it is relevant. The prospect is for some intriguing battles, personality interactions and ward pertinent issues that I may touch on. 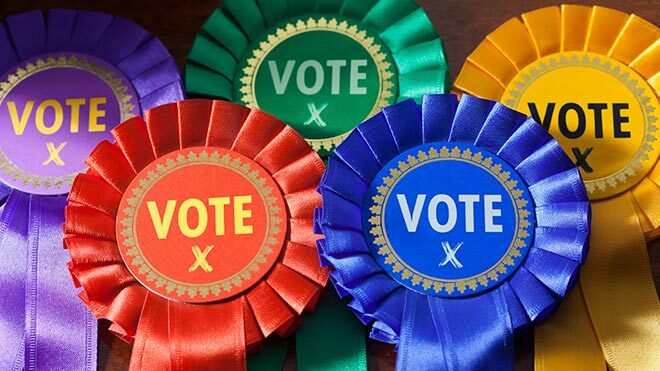 The main parties have all to my knowledge fielded candidates in each ward and so have the Greens, who if they win any seat it will be a major surprise but they have worked hard and will have an impact on the results even if by splitting the vote on the left. While I am not a tree hugging commie, I recognise many of the Green candidates are intelligent, committed and community minded. I don’t have a view on the LibDems other than they are no longer the force they once were. There is a fair smattering of Independents (of the Alliance variety and pucker) and variants on the UKIP theme, which based on past experience might be expected to do well given where we are on Brexit right now and many voters who will vote on national rather than local issues. Because of current disillusionment with the Conservative Party nationally, I expect them to do less well and reckon the resurgence of a Rainbow coalition, just like two years ago, to be a strong possibility as well as that of UKIP being king makers because of the Brexit debacle. I don’t have a strong view whether Rainbow is better or not than Conservative but my concern expressed last time round that in the main the local Conservative is complacent and out of touch remains as well as a thought that Labour and Independent are unlikely bedfellows. Just to spice things up, I am going to predict the outcome in each ward, but readers can breathe easy as my success as a pundit up to now has not been all that good. Whether arrogance or resignation I can’t say but I get a sense the Conservatives aren’t in it to win it as they might be expected to be. I would like to think, while wanabe councilors are of all shades of opinion etc., that most put their heads above the parapet for the right reasons – and that is to serve those they hope to represent, and for that I salute them. Sadly, I don’t expect there to be a good turn out and many voters will vote based on their views on Brexit and other issues not related to the local scene – but then that is local democracy for you! Good to see old friends Paul Collins and Judith MacMahon (now Conservative, was Labour) contesting. Good to see old friend Simon Cross back contending in a ward that while these days is more Labour has returned Conservative and UKIP councillors in recent years. Nice to see old friend Jason Pilley running, although legalizing pot isn’t quite my thing. I expect a tight contest. Always a fascinating ward which in recent days have returned Labour candidates. It will be tight this year with the vote on the left split but I expect a Labour clean sweep as a result of sitting Conservative candidate being ousted. I already gave my views (see here). Now we know who the Conservative and Lib Dem candidates are, neither giving the impression they are any more than paper candidates. Some heavyweights contending here and with the veteran Labour councilor now retiring they do so against his newbie replacement, but then this has long been a Labour stronghold. I already gave my views (see here). I note that one of the main opposers to Off the Streets having their shelter where it is, is standing – current incumbent Charles Willis. It is good to see an old friend, Dr Vel, standing. An interesting analysis John, but don’t underestimate Keith Evans (Independent) for Blemheim and watch this space for Westborough. Don’t write off the ever present constant Independent candidate there, with the anticipated low turn-out anything is possible. Hustings at Legion 25 May.